These are make-and-take stations geared toward kids (although adults will love them too!) where participants can learn a new craft and take home their masterpiece. These diverse stations are led by local experts who will guide and help teach participants a new skill. Located throughout the Festival (look for the Junior Made signs), visitors can create and take home their piece for only $2-$6. Bragging rights included! Learn how to make your own scratch-foam print design with Becki D’Elena of Yo Dog Designs. These simple - yet unique - pieces of art will look great on your wall. Transform into a flower princess as Brandi Williams of Feather + Bloom helps you make a beautiful wearable flower crown. Macramé a keychain for yourself or as a thoughtful gift under the guidance of Jessica Stark of Knotilus. Create your own wooden spoon puppet to take home. Decorate a delicious cupcake from Sweet City Cupcakes to enjoy during the Festival or take home as a special treat. Create a valentine with chalk paste under the guidance of Debbie Bundy of Chalk Couture. Blue Lotus World Dance Co. Paint your own international art inspired rock with Blue Lotus World Dance Co. Create your own gnome with The Pioneer School. 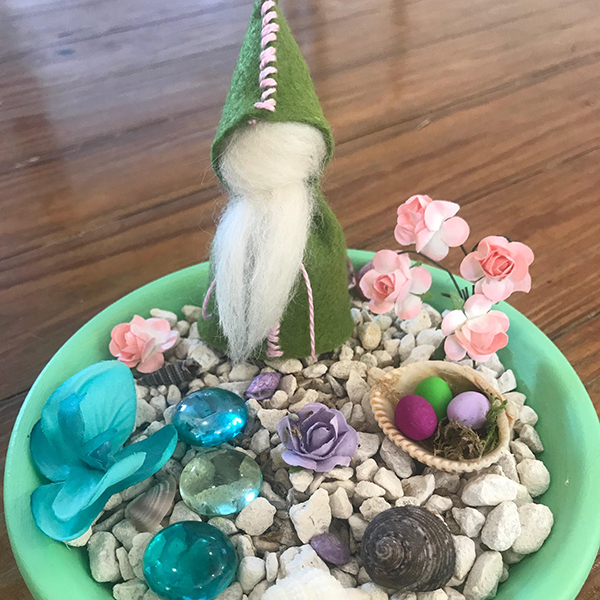 And since every gnome needs a home, you can create a gnome garden too. Want to take home your new creations? You can weave your own basket too.